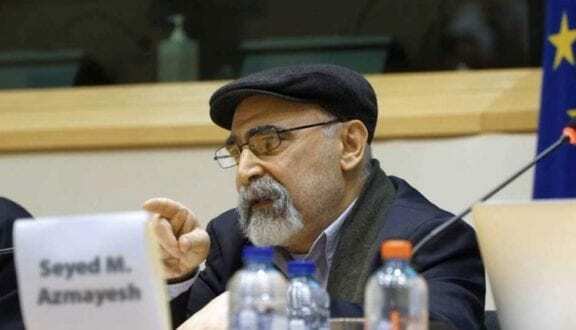 IOPHR – A hidden campaign to threaten and to assassinate Dr. Seyed Mostafa Azmayesh , the Director of International organisation to preserve human rights (IOPHR) has been discovered. In these reports within cyber space, Dr. Azmayesh’s and his colleagues lives are threatened with assassination by the agents of the Iranian Revolutionary Guards – who have been planted amongst the political refugees that have left Iran and are now residing abroad. These reports can be found on various social media platforms under the name of Ali Saeedi or Nema Saeedi. Various Instagram posts, under the name of Ali Saeedi show clips of moving car, where a man who introduces himself as Ali Saeedi begins to talk openly in the most abhorrent hateful manner containing vulgar words and abuses all directed towards Dr Azmayesh and his colleagues. These clips can be found within the Instagram post, of Ali Saeedi, under the headline of “today’s threats”. However, its not clear how Ali Saeedi even knows Dr Azmayesh or his colleagues. As Dr Azmayesh has never met Ali Saeedi or has had any form of contact with him. Nevertheless, these posts show a clear link in regards to Ali Saeedi’s true connection to the Iranian regime, as he uses many accusations and words that are consistently hurled against Dr Azmayesh within Iranian Regimes’ controlled websites in Iran. The same websites that are behind support the oppressive behaviours of the Regime against religious minorities in Iran or any form of belief that does not support the Iranian regimes’s extremist intolerant doctrine.